Stush, is a British born performing artist and Songwriter from south London. Born of West-Indian parents, Stush’s music is heavily influenced by Reggae and Dancehall music. She loves to perform, enjoys interacting with a crowd, and feels that music is ‘a way of life’. Stush is known for her quick-witted lyrical prowess, unique delivery and her electrifying performances. Recent collaborator, LA producer Falcons, described her style as being ‘…Grime, Dancehall, UK Hip-hop all in one’. 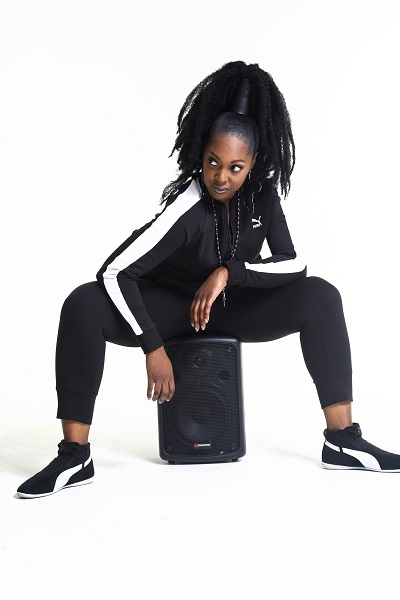 After graduating from the BRIT School, Stush recorded her classic UKG anthem ‘Dollar Sign’, for Social Circles with producer Sticky; signing an album deal with Go Beat, then Island Records/Universal Music. In 2007, Stush secured the Top 10 single ‘Get Down’ alongside Groove Armada, resulting in a 3-year world tour incorporating New Zealand, Australia, Japan, USA and South Africa. ‘Get Down’ became a firm festival favourite with performances at Glastonbury, V Festival, Radio One Big Weekender, Love Box and many others. Stush’s repertoire boasts a number of club hits that include underground smash ‘F Ur X’ with UK rapper Sway for the ‘Adulthood’ soundtrack, the D’explicit produced ‘Me Nuh Run From Them’ and ‘No Chorus’ from reggae veteran Curtis Lynch. At present Stush is writing and recording new material for her EP with producer Outzida, with the lead single Ah Me Dat getting great reviews. The expected release of the EP RDM is set to be early 2018. KO has been touring the world with Thriller Live for the last five years, dazzling audiences in Japan, Brazil, Korea, Macau and London. As Michael Jackson is one of his all time favourite idols, KO has always been determined to showcase Michael’s passionately powerful vocal ability throughout his performance. KO enjoyed performing from a young age, creating shows in his living room for family and friends. It wasn’t until the age of 13 he had his first professional job performing covers in venues around the UK. During his time in high school he achieved 16 qualifications, which included Musical Theatre and Media Studies. He then went onto study Music Technology and finally achieved a degree in Popular Music Practice at the Royal Northern College of Music. It was during this time his potential was recognised and his illustrious career with Thriller Live began. Whilst touring the world with the show, KO started work on his first solo project culminating in an EP entitled, Dimension released in 2015. Towards the end of 2017 KO released a new single for the festive season entitled ‘Christmas Wish’ the song acted as a gift to his followers and as a buzz for releases to come in the coming months. Born and bred in Thornton Heath, Dede embraced music early on , taking up flute and classical piano which led to a passion to write her own music. Drawing inspiration from her favourite artists; she has created her own sound . Her first recorded song, ‘give in to you’ found its way to the playlists of BBC Merseyside and BBC 1xtra. Dede wrote and recorded ‘calling the clock’ with Alan wilder of Depeche mode which went on to no 11 in the German alternative charts. 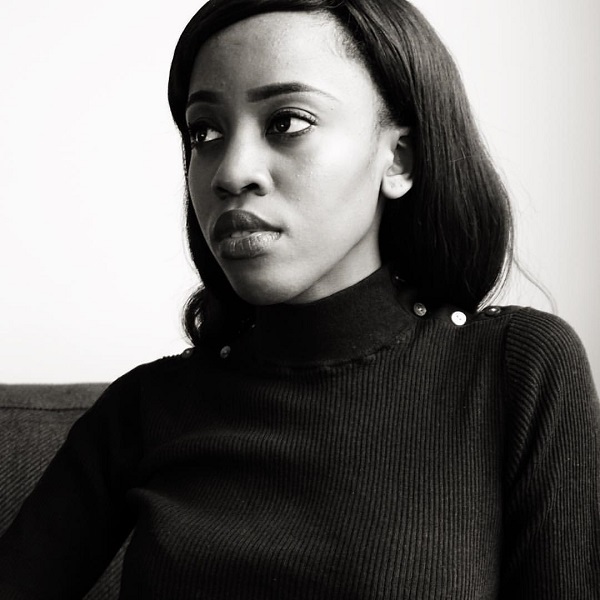 Just before the end of 2017 Dede performed two songs on London Live TV and has recently finished recordings. 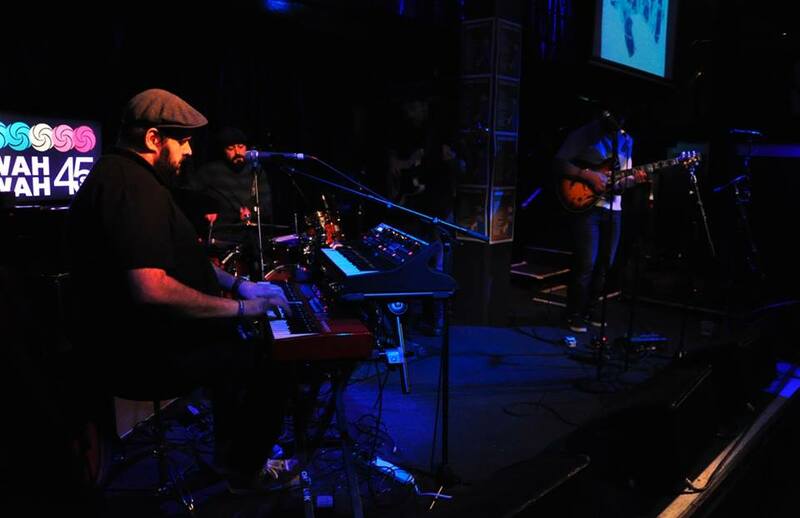 The Skamonics are rooted in the ska, rocksteady and early reggae of 1960s Jamaica. Together since 2004, they have an extensive repertoire that takes in authentic 60s classics, songs from every decade given a ska treatment for the very first time and a sprinkling of two-tone. Top jazz horn players, strong vocals and a driving rhythm section give the Skamonics a distinctly different take on songs known and loved by all ages. West End clubs to East London pubs, festival stages to weddings and vintage days the Skamonics have filled dance floors and won repeat bookings – even playing at the Jamaican High Commission. Local DJ/Producer/Musician, Dave Koor born and brought up in Thornton Heath has been writing over the last few years as one half of production duo Modified Man with Adam Scrimshire. The pair have become sought after remixers, remixing for international artists like Dele Sosimi, Makadem and Amp Fiddler. His own band The Expansions have racked up support slots for Omar, Fred Wesley and Billy Cobham, and he has played and DJ’d at venues and festivals around the UK and Europe. Dave still teaches locally, recently DJ’d at The Stanley Halls as part of the EFG London Jazz Festival and hosts a monthly radio show on Balamii – an online radio station broadcasting from Peckham with Jonny Drop and Adam Scrimshire. His love of music and the desire to support local talent led to the conception of Albert’s Favourites, the label he now runs with Drop and Scrimshire, is quickly becoming one of South London’s go-to record labels. 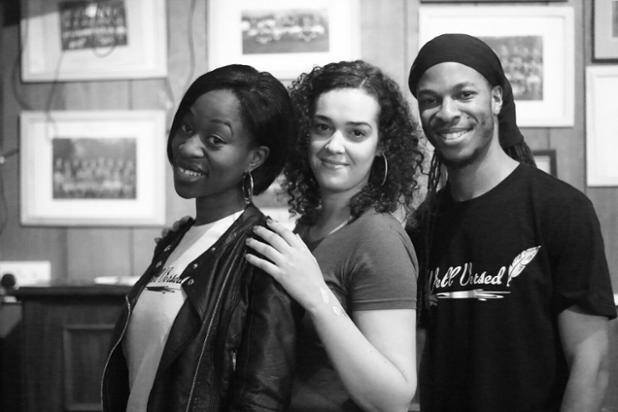 Well Versed Ink is a community interest company based in Thornton Heath that aims to empower communities through poetry by hosting workshops and events for children, young people and adults. We currently work with Croydon-based schools and mental health charities, run a monthly poetry night at Boxpark and are heading up a new poetry festival in Croydon. Iranian born singer Mitra Djalili was once compared to Corinne Bailey Rae and Amy Winehouse when she was played on BBC Radio extra. She describes her sound as soulful jazz. Mitra has also sung on film soundtracks as her husband is a composer. ‘Listening’ is a sci fi film on Netflix, as is ‘Beautiful Wave’ both Hollywood independent features she sang on. Touch Base Dance Academy, are a fun encouraging dance school and offer five different dance styles: ballet, jazz/contemporary, commercial/street dance, hip hop and a heels class for ANY age adults. In this super fun environment students learn the art of dance, and develop further in their choreography technique, performance skills, musicality & rhythm, audition prep, body conditioning and most importantly confidence building. More Than Able Leadership and Resilience program is an engagement and empowerment program, series of workshops to impact the young person and leave them with an indelible mark, whilst creating a movement of More Than Ambassadors. Ambassadors whose roles are to speak out for the youths and be instrumental in influencing policymakers decisions. With great plans laid out for the year, the #morethanable ambassadors will be very busy engaging with leading personalities in diverse industries. The band was established in 2000 and performs a wide variety of music from various regions of Russia and Ukraine (vocal and instrumental folk music). Since the groups existence they have performed at numerous venues including Croydon Multicultural concerts, International Christian Conferences, Fairfield Halls , Ruskin House, and the Russian Winter Festival in Wimbledon. One of our highlights was when the band performed at the Russian Embassy at an event attended by Prince Michael of Kent. The band also participates in festivals and music contests and has been successful in winning first prize at Sutton Festival of second prize at the Russian Song Contest. Each member of the band plays more than two instruments performing various Russian and Ukrainian folk instrumental and vocal music and has released three CDs. Young Girls Thrive aims to help young women create the tools they need to deal with the challenges life brings and to help them onto the path of success. OUR MISSION: To empower and motivate young women aged 12-21 years old; by means of promoting and encouraging individuality; through challenging the limitations of their mind-sets, in order to reach their full potential in life. They run a weekly group for girls ages 12-15 every Tuesday 6.30PM-8.30PM at St Paul’s Church, St Paul’s Road CR7 8NB. Kuntal’s Dance School offers the best and the highest training in all dance styles which makes their student look forward to performing on stage and help to motivate and gain confidence. We have our classes all over London, with classes running weekly in different areas and at the West Thornton Community centre in Thornton Heath every Saturday.